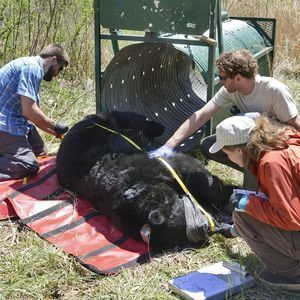 “Researchers kicked off the study in the spring by catching bears using baited culvert traps — large metal containers with a doors that slam shut when a bear goes inside. Captured bears were tranquilized to allow researchers to attach the collars, then released unharmed a short time later. “The GPS collars are programmed to automatically unclasp and fall off bears after three years, or collars can be unclasped by biologists remotely at any time.